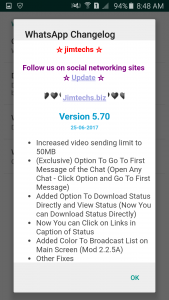 WhatsApp plus JiMODs v5.70 Jimtechs Editions messenger is a FREE messaging application available for Android system only. 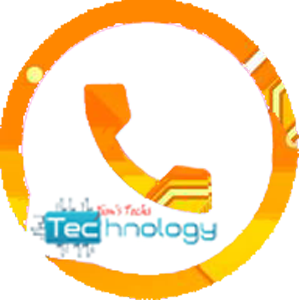 This application works on your different phone’s Internet connection: 4G, 3G, 2G, EDGE and WiFi. 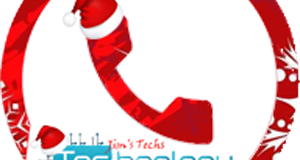 In addition to that, It lets you message and call your friends and family without any additional cost. 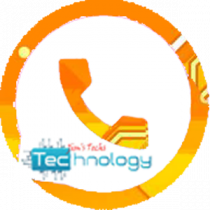 Moreover, Using “WhatsApp plus” messenger will allow the user share the photos, videos, documents, and Voice Messages with anyone. Based on 2.17.146 ( Play Store ). 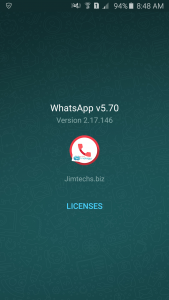 How to Install WhatsApp plus JiMODs v5.70 Jimtechs Editions ? i also cant comment on v5.80 page because ”ERROR: Your comment appears to be spam.” why? Please fix the conversation tones. It won’t stop playing even though it’s turned off in settings.! Please fix ASAP! also apk send is not working, sending documents only shows pdf, jpg, txt and so on. Still have problem in the Enter for New Line. I did tried to update the application version and uninstall the apps then install the new version then restore the data, but the problem is still. Again without emoji changer! ?? how do I hide my profile picture to the contacts which I don’t want them to see my profile picture? whenever I am attaching image it gets stuck and after some time says whatsapp isn’t working….